HOW DO COMMON OBJECTS BECOME MODERN STEAMPUNK MASTERPIECES? 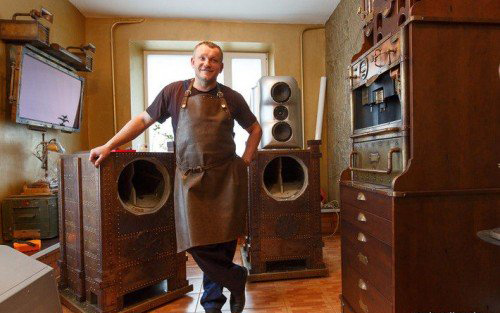 The Byelorussian Dmitry Tihonenko repairs appliances as profession, but his passion is the steampunk. Continue reading HOW DO COMMON OBJECTS BECOME MODERN STEAMPUNK MASTERPIECES? 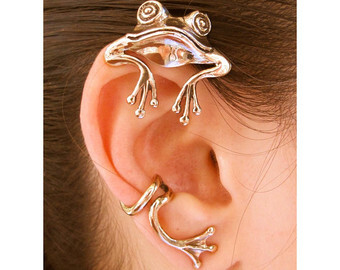 A gallery of steampunk jewels and accessories in the shape of animals. These charms, as well as rings, caps, handbags are ideal accessories for witty women who like to create their own unique style beyond fashion, who want to wear ornaments that speak for themselves, to get noticed in the light-hearted way but treated in details. Marcello Toma is the steampunk painter par excellence. In his paintings he carefully avoids corsets and petticoats to shreds, or Victorian goggles and boots with buckles. The Steampunk iconography is always very charming. Perhaps this is why some artists have imagined the Disney heroes as nineteenth characters, grappling with a decidedly anachronistic technology for the time. If you combined clockwork gears, parasols and air balloons with Edgar Allan Poe, what would you get? Steampunk: Poe! This is the first collection of Poe stories illustrated with steampunk influence. The Steampunk genre has always incorporated elements of science fiction, fantasy, horror and alternative history, and certainly the Cthulhu Mythos by H. P. Lovecraft. The collection of stories, “Steampunk Cthulhu – Mythos Terror in the Age of Steam”, includes 18 tales of horror, sci-fi and alternative realities, tainted with the Lovecraftian and the Cthulhu Mythos. The Time Machine is a film screened in 2002 and based on the eponymous novel by H. G. Wells. Alexander Hartdegen is determined to prove that time travel is possible. His determination drives him to want to change the past. The Steampunk League is an action-platformer videogame single player with a 3D isometric graphic. It is set in an alternative Victorian age, but it is based on actual and historical rivalry between Nikola Tesla and Thomas Edison, two electrical engineering innovators. Widely considered one of the founders of the horror film, “Freaks” is rather a bleak melodrama. Firm believer in the idea that the reality does not need filters or translations to be staged as it is, the director Tod Browning decided to use amateur actors who make themselves: the ones we see are their true impairments, what it does in the film is what characterizes their true days.